Now, it's important to understand this weight loss program is not some kind of supplement and has nothing to do with silly exercise gizmos, pills, powders, potions or anything of that nature whatsoever. And this program definitely isn't some kind of crazy crash diet or celebrity fad of the week. 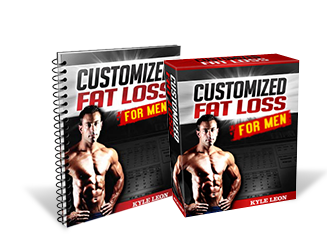 Rather, with Customized Fat Loss for men you're provided a complete nutrition and training program along with a custom nutritional software designed to help your body optimize fat loss by systematically allocating calories and macronutrients at specific times based around you as an individual…. The amount of calories you consume, when you consume them, and the macronutrients they're comprised of are all determined by various personal factors like your age, weight, height and most importantly your body type. Your customized training program is also individually determined by all of the above personal characteristics along with your exercise history and capabilities. Nutrition is the cornerstone to any effective weight loss plan, and that is the most unique and advanced part of the Customized Fat Loss for Men program. The nutrition plan begins with teaching you how to identify your true body type and then you will input that information into your custom nutritional software along with other personal characteristics such as your age, weight, height and workout schedule. Your customized nutritional software will then determine your ideal ratio of protein, carbs and fat you'll be consuming during this phase of the program. During this macronutrient allocation phase your body will be receiving custom tailored nutrition designed to flip on your natural fat burning switch more easily, and provide your body with the energy it will require for your customized workout program. There is no getting around it, exercise and resistance training is a very important component to this program and to your weight loss success. During phase 2 you will be combining your customized nutrition plan with a customized workout routine based on many of the same individual characteristics used to determine your nutritional protocol. Your workout program is designed to push, strengthen and sculpt your lean muscle mass while further maximizing the metabolic changes you encouraged during phase 1. Your training routine will also be tailored to your exercise history, training capabilities and preferences in order to help maximize your results while minimizing risk of injury. During this phase, strategic and targeted resistance training will be a fundamental part of helping you reach your weight loss goals. Remember, every man responds to training differently and it's important you follow a training regimen that's customized for you in order to optimize fat mobilization and maximize lean muscle mass. You'll also be given access to over 50 video coaching lessons designed to teach you correct form and demonstrate how to properly and safely execute each of the various exercises you'll be using during this phase of your program. 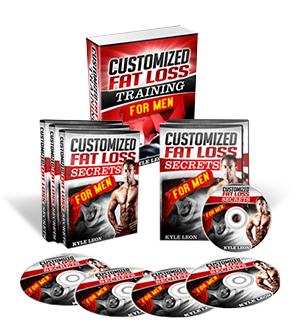 Once you have mastered the first 2 phases of the Customized Fat Loss For Men system you're ready to move on to advanced customization with the help of our coaches. During this phase you will use advanced nutrition and workout strategies designed to take your body transformation to another level. You'll expand your knowledge through advanced video lessons and personal email consultation that can help you take all of the strategies you've learned and apply them in a way that will allow you to maintain your transformation results over time. This phase is designed to teach you how to live, eat and exercise in a way that can deliver a lean strong body over the long term.